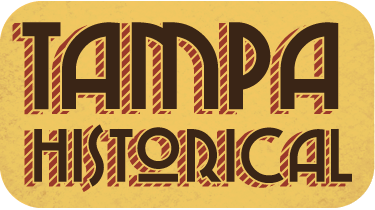 A history of the original port of Tampa and its influence on Florida history. Port Tampa is located in South Tampa, just west of Macdill Air Force Base. While appearing generally unassuming when you first tour it, it is in fact rich with history of the Tampa Bay area. The port was established in 1888 by Henry Plant as the endpoint of the Henry Plant Railroad “The South Florida Railroad.” Plant was a very smart entrepreneur and knew just how to strategically place this settlement: near the docks of the city as well as in between the railroads, Plant constructed two separate hotels. The residents of these hotels were often the railroad workers as well as the sailors resting in town overnight. He later turned this area into the original main port of Tampa. This port is rich in the history of Florida in the late 19th century. For example, after the explosion on the USS Maine, the survivors were brought here to be treated. After the declaration of the Spanish- American war, Teddy Roosevelt stayed here with his Rough Riders due to it being the debarkation point for the war. By the early 20th century however, Port Tampa was decreasing in relevance as a port. This is due to the deepening of the Hillsborough bay which brought more ships and more prosperity to the Port of Tampa. The reason for the expansion of Hillsborough bay is due to the economic stress Port Tampa was putting on the Port of Tampa for the naval shipping of goods from Port Tampa to the Port of Tampa. Since most goods would come through Port Tampa they had a near monopoly on the prices. It is said that It cost just as much to get something shipped from Port Tampa to the Port of Tampa as it did to get something sent from New York to the Port of Tampa! So it is obvious to see why they fought so hard to expand the bay and get out from under the financial grip of Port Tampa. Although this decreased the economic importance of the town, those loyal to Henry Plant and his company stayed and tried to make the best of their town they loved so dearly. Today, Port Tampa still has many of its original homes and buildings, including those in which Teddy Roosevelt stayed as well as the original court building which has since been converted into a library. In 1961 the city of Tampa appropriated Port Tampa and it was no longer its own town. That is not bad news to the people living there, however, as the city of Tampa has been ever since turning the area into an vibrant section of the city. Bordering many popular areas of the city such as South Howard and Ybor City, it is a part of Tampa that is becoming more popular. As development is increasing in this up-and-coming section of the city, it is even more important that the rich history of this area is collected properly archived and remembered. Grant Brus, “Port Tampa,” Tampa Historical, accessed April 20, 2019, http://tampahistorical.org/items/show/50.